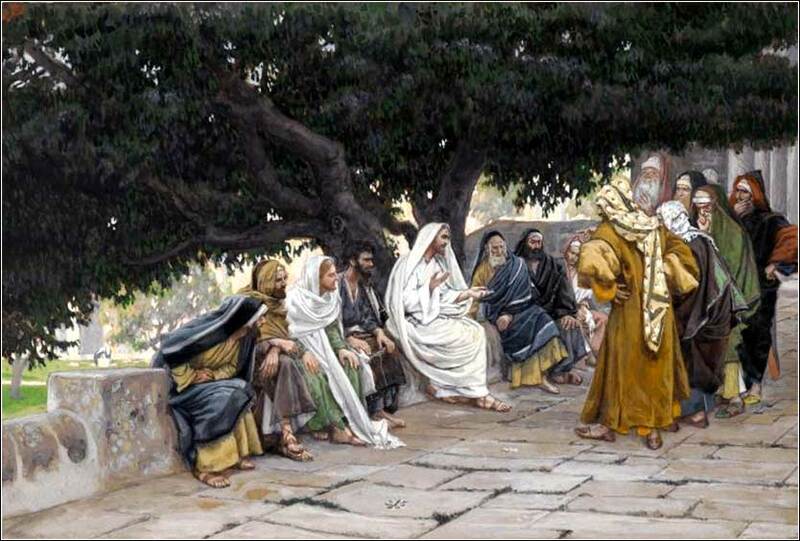 The Sadducees and Pharisees Come to Tempt Jesus by James Tissot, ca. 1885. 242 people in our community are currently praying with you. I have always loved this account of Samson's life, written by the Reverend Gary Davis. He was the strongest man that ever lived on earth. He looked down on the ground and he saw an old jaw-bone. And when he got to moving ten thousand was dead. I would tear this building down. And the bees made honey in the lion's head. And said "tell me where your strength lies, if you please"
And my strength will be like a natural man." Who can tell what a day might bring? Therefore, gracious God, cause me to live every day as if it were to be my last, for I cannot know that it is not. Help me to live this day as I shall wish I had done when I come to die. Lord, thou hast given us thy Word for a light to shine upon our path; grant us so to meditate on that Word, and to follow its teaching, that we may find in it the light that shines more and more until the perfect day; through Jesus Christ our Lord. by (Saint) Jerome, 390 A.D.
O good shepherd, seek me out, and bring me home to your fold again. Deal favourably with me according to your good pleasure, until I may dwell in your house all the days of my life, and praise you forever and ever with them that are there. from a prayer of St. Jerome, 408 A.D. Throw your heart over the fence and the rest will follow. Then they understood that he did not tell them to beware of the leaven of bread, but of the teaching of the Pharisees and Sadducees. Humor is a bit scarce in the Bible, but the disciples give us a touch of Keystone Kops here. Jesus speaks to them metaphorically about the “leaven” (or yeast) of the investigators sent from Jerusalem. The disciples miss the point completely. They immediately start talking and arguing about how they didn't bring any bread with them. You can almost hear Jesus roll his eyes. The metaphor is a familiar one, from a parable in Chapter 13, a companion to the parable of the mustard seed. Yeast will have an effect on bread dough disproportionate to its size; one teaspoon of yeast will triple or quadruple the size of a quart of dough. So, leaven is like words or ideas. Jesus himself is a perfect example: He spoke approximately 2,025 words. as counted in an English language Bible (the exact number depending on the translation). But these 2,000 words have had an impact on human history beyond any others. So, Jesus gets a bit miffed for two reasons. First off, He has just fed 4,000 people with seven loaves of bread; do the 12 disciples with him really think they will lack for food? He will take care of them. And even worse, they aren't listening to him. He is warning them about danger from the words of the Pharisees and Sadducees, but all they can think about is their stomachs. We have heard a lot about the Pharisees, and their fundamental error of replacing faith in their heart with outward obedience to ritual action. But, what was the “leaven” of the Sadducees? The Sadducees were rich and powerful, the equivalent of people in the U.S. who “live inside the Beltway”. Their religion was essentially a political tool; the aim of their lives was to dominate Judea by using Judaism itself to control the Hebrew populace. They made inside deals with the Romans and Herodians. One could say, they were the Borgias and de Medicis of first century Judaism.The Sadducees were actually a step down from the Pharisees, who were at least trying to find righteousness before God. Politics and money were anathema to Christ; or more accurately, they were irrelevant, beneath his notice. On a tangential note, the passage unintentionally clears up one question about the Bible itself. The feeding of the 5,000 occurs in all four gospels, but the feeding of the 4,000 appears only in Matthew and Mark. Thus, some people have questioned whether these are actually one event told with variant details — because they are quite similar. Apparently not, though: Matthew here reaffirms that there were two separate occasions when Christ fed a multitude from a few loaves of bread and a couple of fish. This should sway even a skeptical reader, as Matthew would have been a firsthand witness to both. James 2:24, 26: You see that a man is justified by works and not by faith alone. . . . For just as the body without the spirit is dead, so also faith without works is dead.